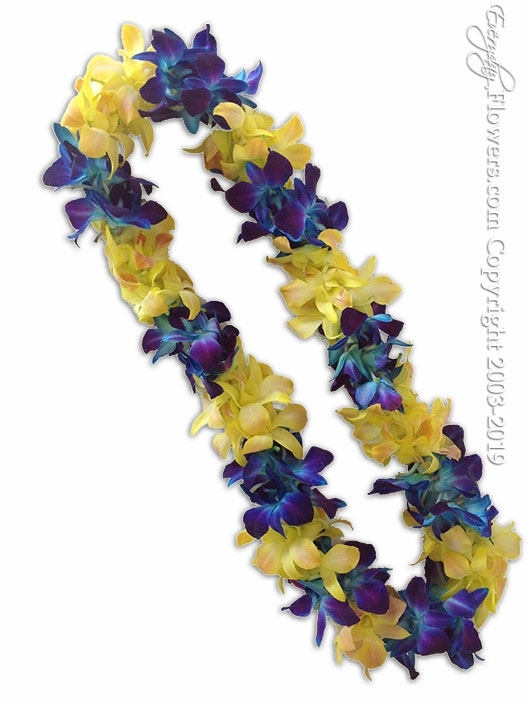 *****PRE ORDER BY TUESDAYS***** Dendrobium orchids that have been stem died blue and yellow have been used to create this double orchid lei in blue and yellow. Available at Everyday Flowers for pickup or delivery to all cities located in Orange County California. Please Order By Tuesday For Delivery Or Pickup at Our Store On Wednesday Thursday Friday Or Saturday. Please Call For Availability (714) 714-0306.